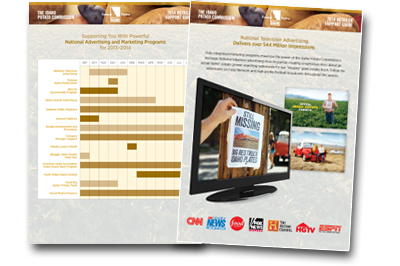 What better way to drive home our message as America's favorite potato than by showcasing our Great Big Idaho® Potato Truck and its tour across the country in a national, high-definition television commercial? And who better to deliver the message than a real Idaho® Potato farmer? Look for us on Food Network and high-profile football games throughout the season.